“Our lean implementation is an ongoing process that will truly allow us to meet our potential.” – Sean Toland, Certified Lean Master, Rubadue Wire. 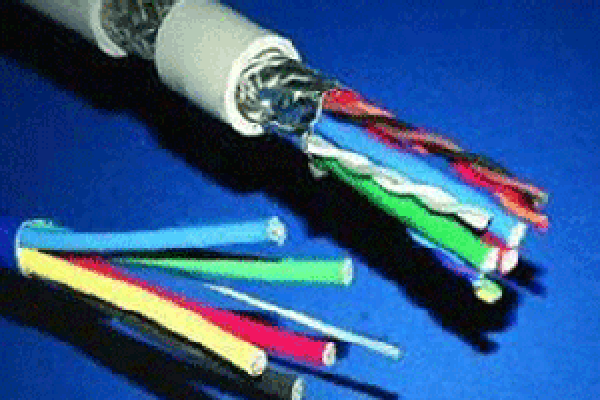 Rubadue Wire is a manufacturer of high quality wire and cable. Specializations include high temperature power supply winding wire, appliance wiring, and custom cables. Founded in 1977, Rubadue is a supplier to many of the top electronics manufacturers in the world. Manufacturing is located in Greeley, Colorado with stocking locations in Hong Kong, Taiwan, the United Kingdom, and the United States. Rubadue is experiencing record growth in current products and the development of a new product line is changing their go to market business model. In addition, success is attracting more foreign and domestic competitors. A lean cultural transformation is viewed as essential to meet new challenges, stay price competitive, and remain the market leader in performance. In one targeted area, throughput and delivery performance was hampered by a bottleneck in production. Sean Toland challenged the team at Transformance Advisors to help him eliminate this bottleneck and demonstrate how a lean program could help Rubadue craft a sustainable lean supply chain. To address the challenge, Sean enrolled in a Certified Lean Master (CLM) course that was offered by Transformance Advisors in collaboration with APICS Northern Colorado. This multi-session program provided a complete package of education and coaching on the creation of sustainable lean supply chains. It provided Sean three educational sessions of three days each with a four week break between sessions. Sean was able apply the knowledge from the course to his lean project that addressed the bottleneck operation that was hampering performance. As part of his project, Sean developed a business case and a lean educational program for all employees working in the bottleneck operation. The team was then able to leverage Value Stream Mapping and Kaizen Blitz events to identify previously unknown waste and inefficiency. Rubadue’s new lean process improved on time customer delivery by 30%, increased operator output by 40%, reduced rework by 25%, and reduced returns by 60%. These improvements resulted in the elimination of overtime and a three week reduction in manufacturing lead time. Additional benefits include increased employee morale which has resulted in a reduction in non-scheduled employee absences. With the big wins from this first lean project, the entire team is now energized and eager to take on the next challenge from the Rubadue leadership team. “Sean did an excellent job in leveraging the Certified Lean Master program to learn the details on the five principles of lean and the systematic elimination of waste. He then immediately applied this knowledge to his lean project and included all employees in the improvement process. The team at Rubadue is now in a great position to continue the cultural transformation required for crafting a sustainable lean organization.” – Mike Loughrin, CEO, Transformance Advisors. Contact the team at Transformance Advisors for information on how you can leverage the Certified Lean Master or one of our other educational events to improve service and reduce costs.